At the end of the month we’ll be spending a few days at Milo McIver State Park to close out our sporadic summer of camping. We had to cancel most of the week we had planned to spend camping along the coast due to Tom’s changing employers over the summer to a company that doesn’t offer PTO for the first three months of employment. Instead, we just made it a long weekend at Fort Stevens with the support of my dad and stepmom. Despite the short stay, we had a super-fun time, especially the kids, and so we want to get out there one more time before the cold and rain set in. One of the things that tickled the kids the most was the opportunity to ride their bikes (Baxter on a scoot bike) around the camping loop, all on their own. They’d ride for an hour at a time, finally flopping down at the campsite in a happy, sweaty heap. They made friends with kids at other camp sites and one night even threaded glow sticks through their bike tires at sunset. If you knew how much my kids love glow sticks, your eyes would be widening at the pure unadulturated awesomeness of this fact, for them. 🙂 Seriously, it was nearly their favorite thing about that camping trip, which prominently figured THE BEACH. Anyway, so now we’ll be camping with our bikes every time, thank you very much! 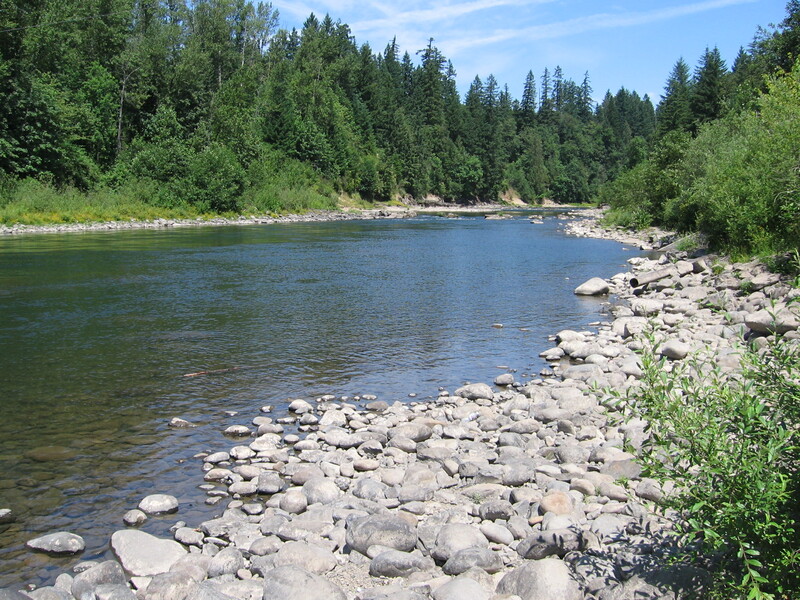 And looking forward to enjoying the fall foliage at the Clackamas River later this month. Yay!